(Natural News) Your body is continuously fighting for your survival even if you’re just living your normal life. However, it will get tired at some point if you don’t give it the support it needs. So why not give it a helping hand every once in a while? To ensure that the body remains strong, especially when SHTF, you can use essential oils to increase your chances of survival. Essential oils are concentrated extracts derived from plants. They contain various compounds that contribute to its distinct scent and flavor. But aside from these characteristics, many people also use them for their therapeutic properties in a practice called aromatherapy. In this form of alternative medicine, essential oils can be used in different ways. They can be directly applied to the skin, where it can then be absorbed into the body. However, it is important to dilute them in a carrier oil to prevent irritation. You can also enjoy the benefits of essential oils by simply inhaling them or putting them in a diffuser to fill the room with their aroma. If neither appeals to you, then you can also choose to add the oil into your bath or use it during a massage session. Reducing chronic stress and anxiety — Healthy amounts of stress are good for the body. However, too much of it will negatively affect your immune system. This is because of excessive amounts of the stress hormone cortisol, which can suppress immune responses. Keeping your stress levels in check can be difficult especially with the different stressors in daily life. Luckily, lavender, bergamot, lemongrass, clary sage, ylang-ylang, orange, chamomile, and frankincense essential oils can effectively reduce stress when inhaled. Maintaining hormone balance — Aside from cortisol, it is also important to maintain the balance of other hormones, such as estrogen, progesterone, and testosterone. When there’s too little of these hormones, it can lead to the suppression of the immune response for estrogen or overactivity for the other two. To help keep your hormone levels in check, you can try using clary sage, thyme, or rose essential oils. Improving sleep — Sleep is crucial for survival since this gives the body time to repair itself so that it’s ready to face the next day. Unfortunately, more than 50 million Americans don’t get sufficient amounts of sleep because of sleep disorders. Some of the essential oils that can induce slumber and relaxation include lavender, Roman chamomile, ylang-ylang, valerian, neroli, cedarwood, and frankincense. Promoting wound healing — The skin is the body’s first line of defense against the outside world. However, it is still susceptible to damage that can make you more vulnerable to life-threatening infections. 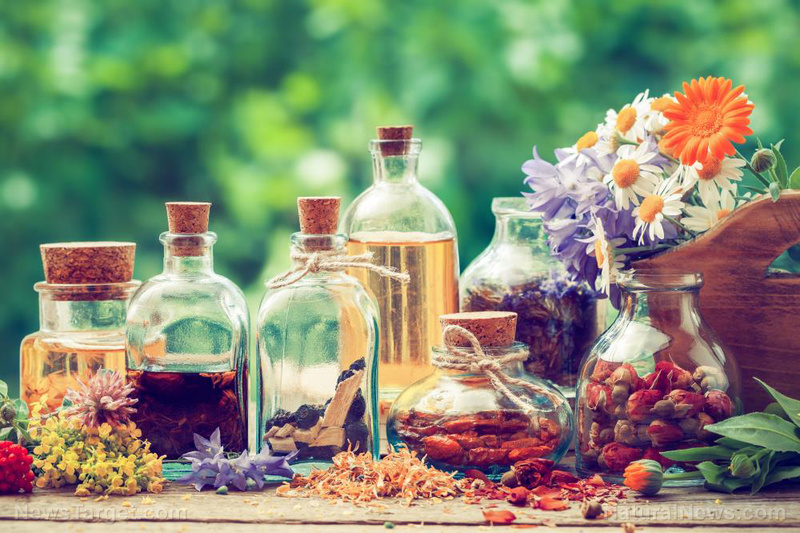 Fortunately, there are many essential oils with antibacterial, antiviral, and antifungal properties to eliminate the cause of possible infections and even hasten wound healing. These essential oils include tea tree, lavender, and calendula. Preventing colds or flu — Now that winter is fast approaching, it’s even more important to keep the immune system in top shape since cold viruses love cool temperatures. If you’ve been feeling rather weak it might be time for essential oils to come to the rescue. Some of the best oils for boosting the immune system are eucalyptus, thyme, and peppermint. These are known for having potent antiviral and antibacterial activity but aside from these, they can also relieve congestion and free the airways. Eliminating bacteria from your home — No matter how hard you clean yourself, you are still constantly exposed to pathogens from your surroundings. So aside from using essential oils for personal hygiene, you can also use them as household cleaning agents, especially for bathrooms and kitchens where germs thrive. Moreover, you can also use them for your laundry, cooking utensils, and medical equipment to ensure their cleanliness. Thyme, oregano, and eucalyptus essential oils are known for their potent antimicrobial activities so you can try these out to enjoy a cleaner and more fragrant home.